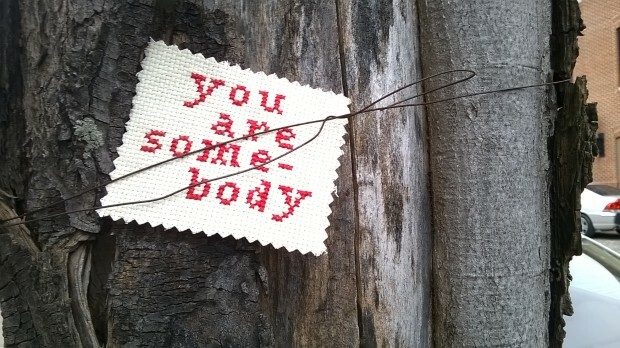 You Are So Very Beautiful - The Details - craftivism. 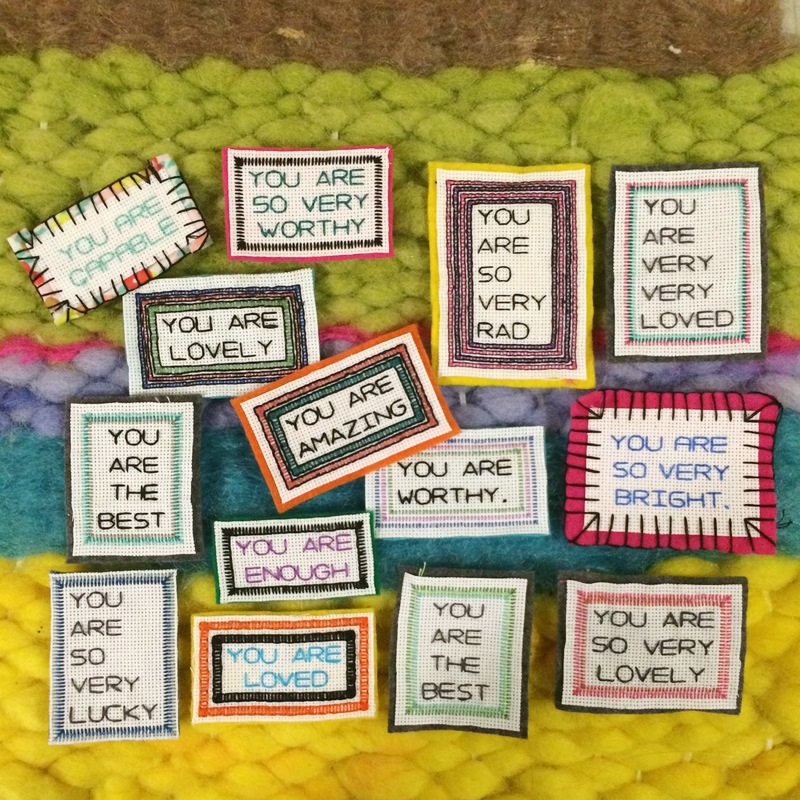 Make a sign (no bigger than palm size, please) that contains an affirmation starting with “You are” on it. Many of them have been stitched, but feel free to get creative. People have also done things like painted rocks and made balloon roses! Tag: It’s up to you if you tag it with your @social_media_handle, but please tag the back of the sign with #yasvb. Place the sign somewhere in your city. On a window ledge. On a bus seat. Under the edge of a flower pot. In a change machine slot. Anywhere where they might be found by someone. Document! If you have your phone or camera on you, please take a photo and either post it on social media with the hashtag #yasvb or email me the photo(s) so I can share them! To see examples of what others have done, check on the #yasvb hashtag on Instagram! Have another question? Email me! Along with leaving individual signs in places, we have also done drops, where multiple signs are collected and then left in one area of your city all at once! Drops have been done in the United States, Canada, England and Australia! Want to do a drop in your town? Find out how I can help or how you can do it DIY style here! For more information about the idea behind the You Are So Very Beautiful project, click here.